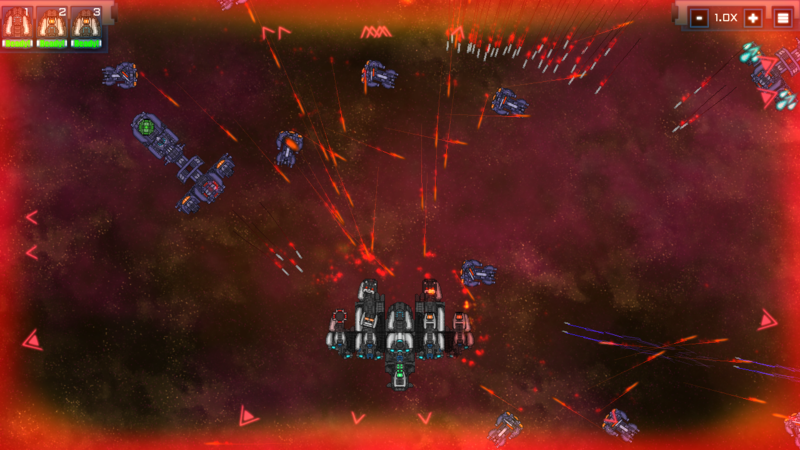 Voidship: The Long Journey is a 2D top-down space combat/strategy game for PC. The game will be released on February 8th, 2019. Until then we invite you to download a free demo from this page and wishlist the game in Steam. You are the captain of a modular spaceship entrusted with a mission which might take centuries to complete. Gather resources, crew, and technology to build your spaceship into a titan warship to fulfill your objective. Share your feedback in our Discord. Get to know the developer in Twitter. Real-time 2D space combat – Battle against a variety of unique evolving alien races. 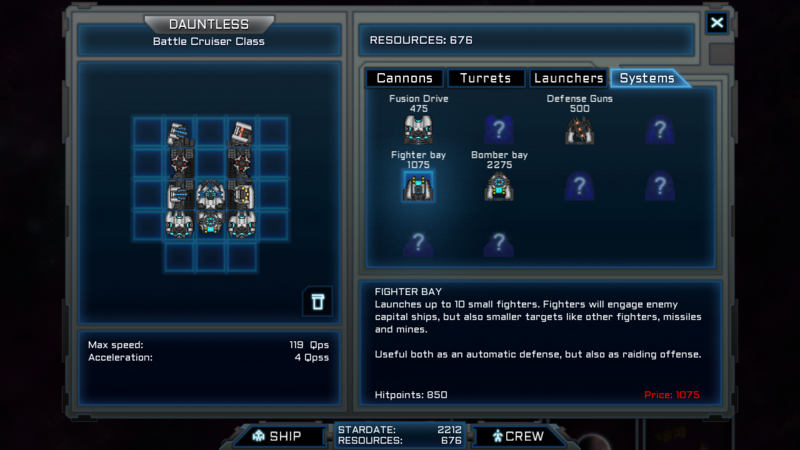 Custom modular ship – Combine weapons and special modules to build a ship suited to your style of play. Your route to victory might be a slow powerful warship armed with mines and nukes. Or build a fast long-range shuttle to beat your enemies guerilla style. Travel time as part of the strategy – Your travel in space takes hundreds of years, your crew will age and ship will deteriorate. Plan your long-term strategies well. Randomly generated maps and rogue-like gameplay – Each playthrough a new randomly generated world to explore. 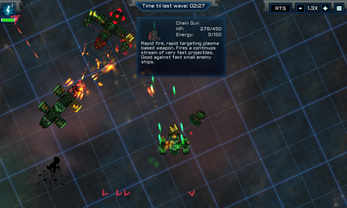 Complex strategic gameplay – Pause the game at any moment to see a tactical overlay on your enemies and their weaknesses. 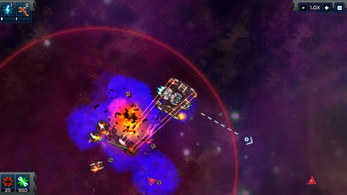 Use Ion Bombs to disable specific enemy systems, deploy defense satellites, lay mines. Learn your enemies weaknesses and discover new technologies to be able to beat them. 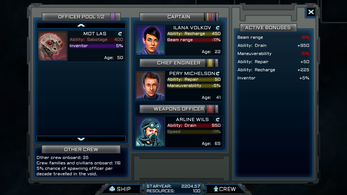 Crew management – Gather/recruit and manage crew members. 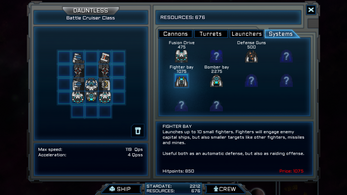 Each will give you unique bonuses, affecting the abilities of your ship and battle outcome. 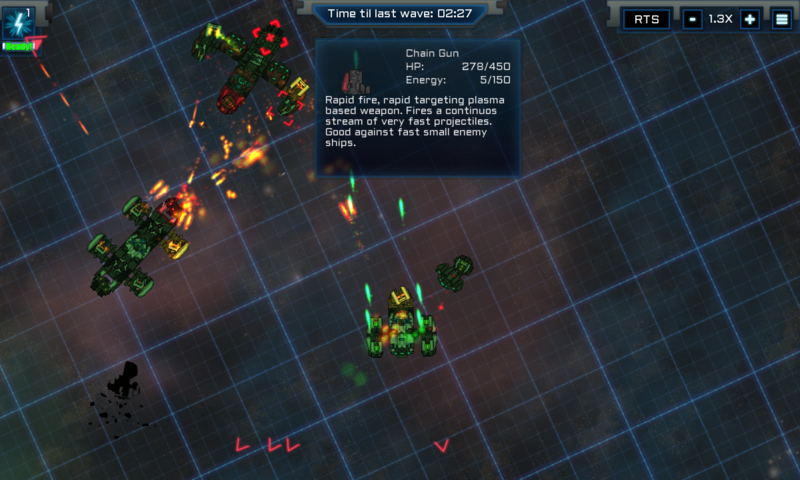 RTS or shooter control interface – At any point during battle gameplay, you can switch between RTS or shooter mode. 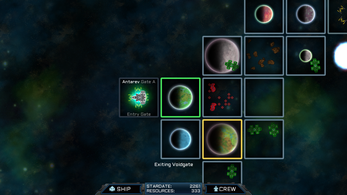 Highly moddable – All game scripting data is easily accessible. Official Mod tools included with the release. Voidship: The Long Journey will be released on January 24th, 2019. 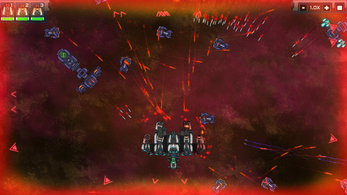 Voidship is now also on Steam! Released demo v0.821. Quick hotfix to a bug in the previous one. Voidship: The Long Journey V0.8 alpha demo released! Please don't forget to check your steam page forum too. And glad you like the game! Thank you! Great that you liked the game. This is really neat. Other people have left in-depth replies, but here's one small things: There's not a lot of pressure in the over-world layer right now. In FTL and other scene-to-scene roguelikes like Slay the Spire, persistent player health across scenes makes taking or avoiding fights a substantive decision. I personally *like* that you have made healing a pretty loose thing, but that does remove some of the tension from the larger arc of the game, even in the demo. It feels like it is always, 100% the right move to look for every fight possible and cover all the area to do so, because the only risk is losing a ship part, and if one is doing that on a regular basis, that's already a problem. Nothing more about that or any suggestions, just a thought. Anyway, like the game, very cool, and if the demo is this engaging it's a good sign for the full release. Best of luck. Very good feedback, thank you! I've been hard at work trying to fix up the game for the next update. Parts of what I'm currently doing are actually inspired by this comment. The lack of pressure on some of the layers of map is a very good point. I've addressed it partly for the next update (Coming soon). So one thing I've done is made it so that in the next version travel in the system map also costs a bit. 0.3 years per jump from sector to sector. The enemy levels up according to how much time they've had to build their forces. So if you jump around too much in the system map and do things in a weird order the enemy will level up more. You might not want to risk attacking a big enemy force that you flew past first to get to some resources. Since now not only will it add X amount of time to your journey the force also keeps getting bigger. I've also made the enemy strength indicators in the system map work better. You will actually get useful info from those next update. They will also change a bit every time you fly from sector to sector. All of this stuff won't solve what you are saying completely, but it will definitely add more pressure and make it make more sense design wise. I've got a few other small things I want to add aswell to complete the design. 1. The game lacks a Save & Exit button. 2. 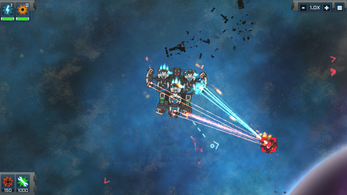 Chain Gun frigates make a lot of noise when shooting, which can be deafening when they're in large numbers. Thank you for the great feedback! Really motivational stuff to read! 1. Will get on that soon! Also multiple save games since that has been requested a lot and is a basic feature which I need to have longer term. 2. Got it, will fix. At first by just downing the volume of that sound effect, but I should also just switch it out with a better one aswell longer term wise. 3. That is indeed a common resolution I have missed. I will add the button for that in the next update. In the meantime though you can play in 1280x1024 by editing it directly in the options file of the game. Go to Users/YourUsername/Local/Voidship on your computer. Open the file game_options.ini in just regular notepad. (If you are not familliar with stuff like this you might need to turn on show hidden files in windows to see this folder and the file) Then edit the resolution width and height into that file directly. It will not work on old save games, but if you start a new game it should play correctly with 1280x1024 resolution. I've been playing this game over the last few months and I absolutely love this game and I can't get enough of it! So excited for the full release! Hoping that double event bug, even though it's helped in the past when trying for resources, gets fixed by then. Mainly just writing this to give some ideas for the full release if these aren't already planned. I'd love to see ship themes! Maybe even just different paint jobs. That'd be really cool and make the ship even more completely customizable! Something I'm just kind of hoping will be in the final realease, is multiple save files. My boyfriend and I are down to just one computer and he's dying to play it to but I got to keep my save for recording. I can't think of any other right now, but If I do I'll just edit them in. It kinda saddens me to put the demo down and wait for the full release, but I'm just tired of restarting now. Here's my final video till the full release, hope you enjoy! Hey! Love and apreciate all your awesome videos and all the feedback you've given me! Really glad you've enjoyed the game this much so far. Completely agree with your decision to hold off on more videos til final release. There should be a bunch interesting new content for you to get excited about again aswell by then! I had to take a slight break so took my time to reply to this. Sorry about that. 1. Double event bug. Yeah that's both good and extremely annoying. I will actually look into that right now. 2. Ship themes will take a bit of graphics work time from me. Which I can't prioritize before finishing the story and fixing the final bugs. But I do want the same stuff and will try to get it done as soon as possible. 3. Multiple save files will be in the next update. Can't access the ship tab after saving and loading the game. I know others have already reported this, but a new version (v0.82) was released since then, and yet the issue remains. Thank you for the quick report! Very much apreciated. This bug is my main nemesis right now. The last update should have fixed it, but it didn't. So I am going back in on this right now. Also. If you or someone else can give me a savegame which crashes in this way that would be majorly helpful. Since one of the big problems in fixing this bug is I've yet to recreate it on my machine. Can't get it to happen in any logical easy fast way. That docking bug. Was that also after this corrupted save load or a completely separate thing just during playthrough? I hopefully just fixed this. Download v 0.821D. Then if I did everything correct you could load that same old savegame that you had crash (if you still have it and have not pressed new game after the crash that is). Hopefully this time the fix works. I finally managed to recreate the bug on my machine and this fix fixed it for me. But it is a pretty weird issue and other spin offs of it could pop up at a later time again. Updated the game. Old save crashed instantly after pressing "continue". I can send you the new save file if you tell me where to find it. Also, the docking crash happened in that old save I deleted. The same one that had the first error. That sounds pretty terrible. Hard to see how that can still happen, but apparently it can and I am still missing something.. Thank you for the awesomely quick feedback again! Save game would be awesomely helpful. The save game is in Users/Username/AppData/Local/Voidship and is called Voidship-Save-082.dat. You can send it to me at milu@cydonian.games or upload it to whatever file site and post the link here. Sorry for not replying earlier and thank you for the feedback! Which version were you on if you happen to know? We're you on the latest that was downloadable here? This bug should be solved already, but you might've happened on a new different case of the same bug. I will take a look. Okay I've just completed my first successful playthrough of this game, and I've got a fair few things to say (bear in mind I am in no way a professional voice in game design - this is just a few personal observations of mine, so take what I have to say with a grain of salt). *Note: I will be comparing Voidship to FTL a bit as that seems to be the key influence. Firstly, what I find great about this game. The interactivity of the fights, especially whilst in RTS mode, is highly enjoyable as opposed to the way Faster Than Light handles them (for all it's achievements, the excitement and 'dynamism' of encounters in FTL is something to be desired). This aspect goes hand in hand with the ability to customize your ship: being able to fly your progressively growing in size starship is a really neat experience, especially as the conflicts you find yourself in become increasingly challenging and hectic, whilst still maintaining to be manageable. As well as this, the fights do not become boring due to the challenge of dealing with randomly generated space stations, and the satisfaction of obliterating them to pieces afterwards. However, it is not without it's faults (which is to be expected of a demo). This point of criticism may just be a 'me thing', but I find the wasd controls to be a little bit awkward to use, and the firing to be a janky. For example, when holding mouse click my lasers sometimes cut out for a second. This doesn't impair gameplay though, and is mostly just a mild annoyance, which is reprimanded by the inclusion of an RTS mode - and a very appreciated inclusion at that, with its smooth movement and attacking animations. But there is also some lag, in particular when you first enter a new zone, regardless of what mode you play in, so some optimization is definitely needed on your part there. Another thing I would like to mention also is the repetitiveness of non-hostile encounters. The 'courage' one for example, whilst a nice little 'ah ha!' moment when you first realize you've got to go in yourself, does wear a little thin on the tenth time you find it. The 3 button one too suffers from the same predictability. Obviously this is just a demo, a small sample of what the game will be, but a little randomization or fresh encounters to spice things up would go a long way in improving the overall experience. And finally, the difficulty is all over the place. This may be a draw to some, and I suppose it is unavoidable to an extent due to the random nature of the rogue-like genre, but fights vary wildly in their challenge, and luck seems to be the major factor that determines your success. And this also highlights the seemingly 'not at all a challenge' of aging crew members. Not a single one died from the beginning to the end of the demo, and new members practically grow on trees: every saved colony gives you the chance to pick up another for free. For the main unique mechanic presented, it really doesn't play that much of a role at the moment, so some tweaking on the immediacy of it is recommended. Now that my particularly long complaint section is over (apologies for that), it's time for my long-term list of things I would love to see added to Voidship. 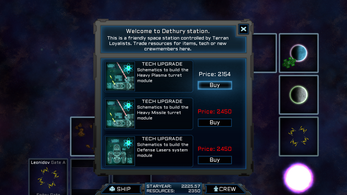 Multiple headquarters available in order to allow for a small fleet of ships. Carry over between playthroughs. For example, found technologies could remain unlocked, so as to provide a feeling of progress despite a lost playthrough. 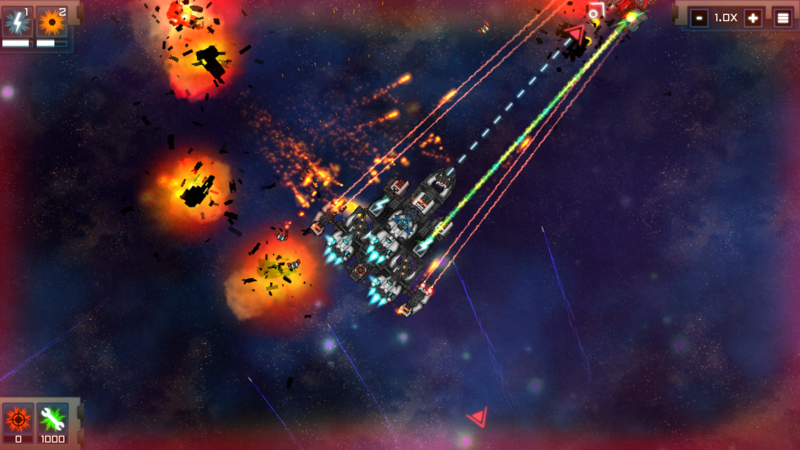 Objects such as meteors being present during fights, that could potentially be dangerous or drop resources if destroyed. Character portraits that change depending on age. I would suggest three variations, to most efficiently represent three stage of life: young, middle aged and old. And a more clearly defined story and lore. All in all this appears to be a very promising title, and I cannot wait to see what places it goes to in the future. You've really got something good here, and I hope you find my feedback mildly useful. Hey! I took a small break from dev and have been offline for a bit. I'm back now and read your feedback. This is absolutely awesome stuff! Thank you! This is about as good and motivational as feedback gets. You liked the game, but also can point out things i can improve. I'm very apreciative of that. I just wanted to reply with this as soon as I saw, to tell you that I did read this. I'll post a longer reply a bit later going over the specific points you raised. i got the same error message before it said i unlocked "undifined"
Yup. Sorry about that! Fixing it. Hopefully should be in next update. Yup. This is my one big final save - load bug. Very sorry about that :/ It's alpha and these things happen. Trying to get it sorted right now. Hopefully will have it fixed by next update. Thank you for the kind words and thank you for the bug report! I apreciate it a lot! 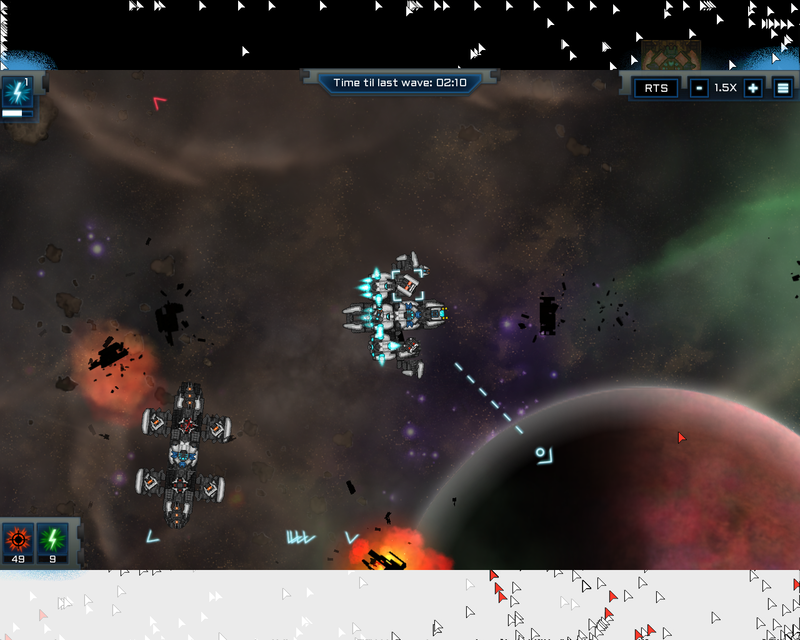 this is a good game, although, i found a bug, when i leave the game in the middle of a battle, and join back later, all of the red border has turned white with no texture, and when i destroy a ship part, the game crashes. i know i shoukdnt leave the game while in a battle but can you fix this? I'm working on solving that bug right now. I know what the problem is, but the fix will take a bit of time. For now I turned off saving while in the battle map in the game. Progression is still saved in the system map though. The game is really excellent! Had a good 2 hour play on it and reached my 2nd star system. 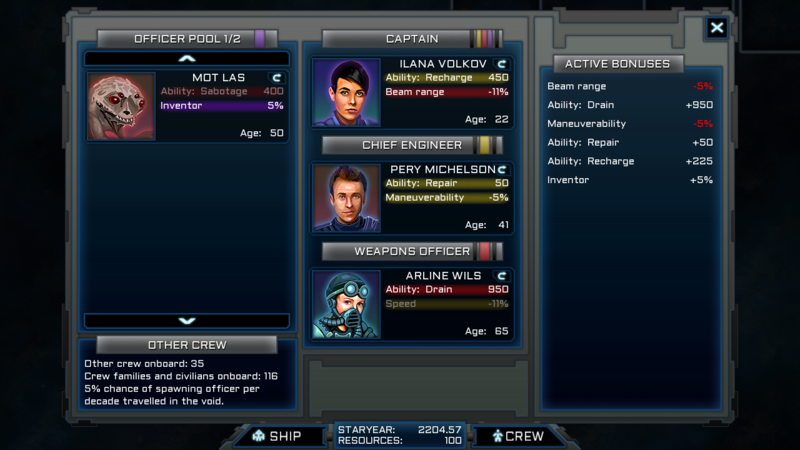 Love the ageing of the crew, ship customisation etc. Can totally see the potential for the story to go a lot deeper once you replace out the placeholder text. It reminds me a lot of Convoy, which was a brillo game. So great job, I can't wait for more. Looks like I'll have to start over! I will figure it out and fix it. Hopefully by next update. This is pretty much my last final giant game killing bug, all the rest of dev is just adding content after I fix this. Thank you! That is very much apreciated. Since this is just the demo for testing right now and the final game will be a commercial one I can't open up much more for exploration in the demo. I will add maybe a system or two more in the next upload though. Amazing, intuitive and fun game. However, there is a bug where you cannot go to quest planet (as in land) and investigate the promethis(?). Awesome! Thanks for the great positive feedback. Yes. The non-random story missions themselves are unscripted. I should have either scripted them fully or left them out of the demo. Sorry about that. I will fix this very soon! How do i allocate more memory for the game? The 0.77 version of the game works better for some reason, and my only baarrier was that I ran out of memory. Awesomely useful feedback. As I already told you on discord. I kept getting crash reports and I couldn't even customize my ship because it kept giving me crash reports, and when i tried to dismiss them it made the game crash. If there is a solution I'm missing please tell me, otherwise I will try to re-download the game. Edit: I forgot to mention that I downloaded the 0.79 version if that has anything to do with the crashes. Didn't have a very long voyage, but it was super fun! Getting a lot of ftl vibes from it but I like the ability to actually maneuver around your opponent and the cumtomizability! Tutorial felt a little excessive, especially the first time I found an enemy, was hard to read and fight. A good idea would be to instantly go to tactical screen, so pause all action, and then explain everything then allow the player to unpause once everything has been said. Still it was a great game and I want to play it a ton more! Made a video, hope you enjoy! But like I said, thanks for playing and thanks for making the video! Thanks for the response and I can understand there's a lot to explain, and tbh I think I was just overreacting a little since I was getting too pressed on time since I was recording this before I left for work. I did however give it another run when I had more time and energy and had an absolute blast! Fully intend on playing until the very end! Awesome stuff! This was very cool to watch. Very fun to see you slowly get more into it and figure more stuff out. Thanks for the cool video again! I also followed you on twitter. I've been adding youtuberss and more active playtesters names (slightly modified usually) into the crew roster aswell. I can add you too. Can discuss that on twitter. Heh. Sorry about the crash. Next version (will upload in a couple of days) fixes a bunch of crashes. Otherwise thanks for playing and for the positive feedback! That's true. I find it annoying myself so I'll implement a fix to count down faster if there are no enemies. Also I've rebalanced and made the defense missions harder aswell. Both of these two tweaks should be in the next version. Which is ready in a day or two. Fixed this in the new demo v 0.79! Man, the game is fun and all but the biggest thing that is kinda BS (for me atleast) it just suddenly says "Thanks for playing our demo!" and i just sat in my chair over 3 minutes, being sad that it was over, but jesus christ. you guys did a AMAZING job with this game! cant wait for the final product! I'll have an atleast slightly longer demo up with a bunch of fixes soon. This will be a paid game soon though so regretfully I can't completely unleash the demo. It's mostly just me (1 guy) for about 75% of the game by now. So I take these comments especially to heart. Thank you again! Gave it a play, was pretty fun, would be nice if you could make your ships bigger, eventually turning out to be a block can be a little sore on the eye's, other then that pretty awesome game so far. Awesome of you to say so. Thank you! I might up the max size to 7x5 a bit later, I am still thinking about that. It would need some extra balancing + optimization. 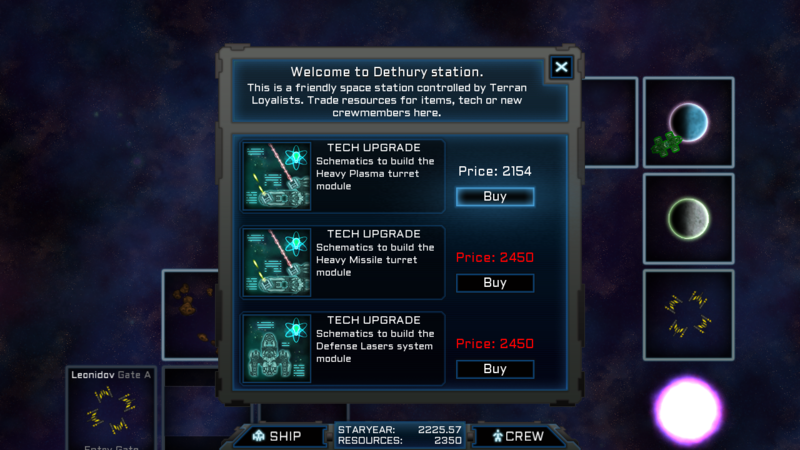 This happened when I tried to trade with a friendly station, looks like a character portrait is missing. That is indeed the bug! Why does this say "not available on windows"?!? I had a checkbox not filled. Fixed now. Thank you! Did a lil video of this on my channel! I did try the alpha and I did love it, congrats man!! Can't wait to get my hand son the final product!